Adopted in 1964, the flag of the United States Coast Guard is white with a dark blue Great Seal of the United States. The shield on the eagle's breast has a blue chief over vertical red and white stripes. Inscribed in an arc above the eagle is "United States Cost Guard"; below the eagle is the Coast Guard motto, "SEMPER PARATUS" ("Always Ready") and beneath that the numerals 1790 the year in which the service's ancestor, the U.S. Revenue Cutter Service, was founded. All inscriptions are dark blue. 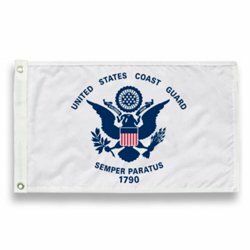 AmericanFlags.com features Coast Guard flags in two materials - military-grade nylon and standard polyester. 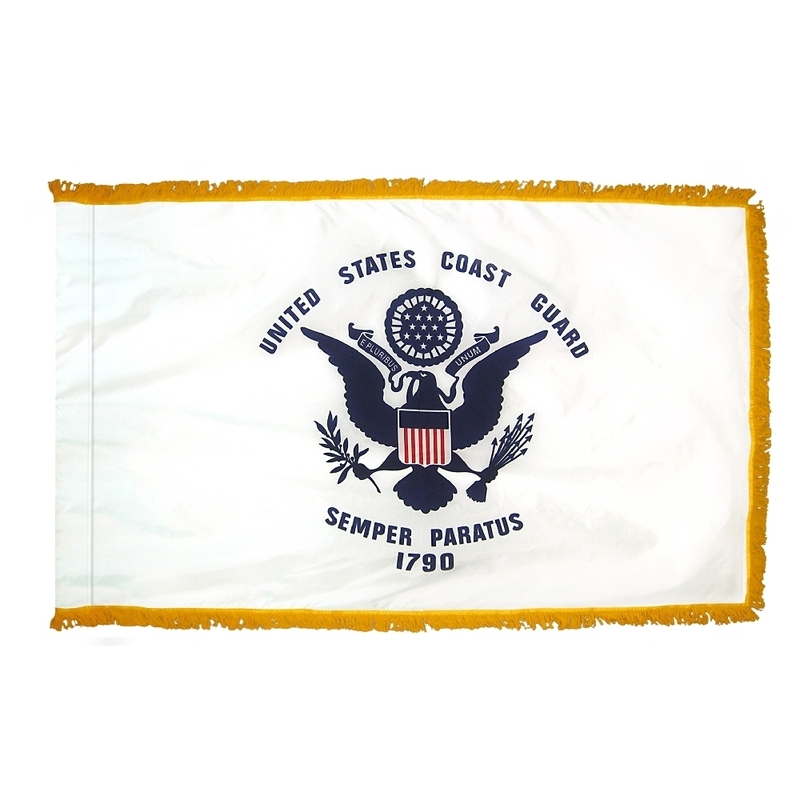 We offer Coast Guard flags for sale in a variety of sizes from 12" X 18" to 6' X 10'. 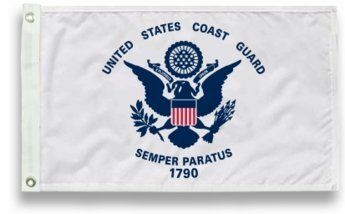 AmericanFlags.com also carries handheld Coast Guard flags, which are perfect for parades, ceremonies and other events.